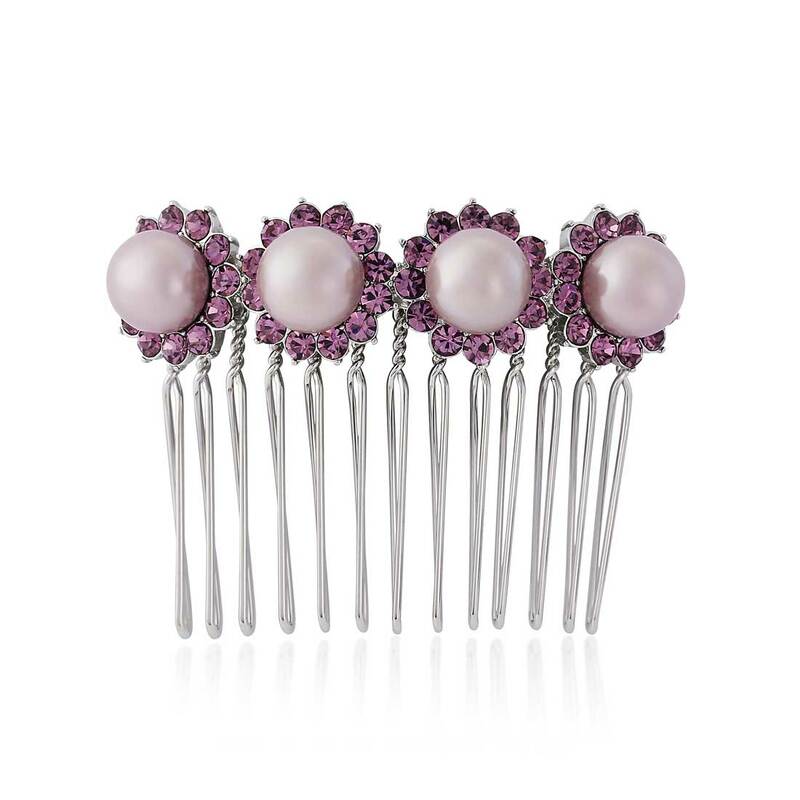 Beautiful pale lilac pearls and crystals give this pretty vintage hair comb a subtle touch of 1950s retro style. A captivating duo of beautiful lilac pearls and light amethyst crystals take our Haze of Amethyst Hair Comb to the height of chic femininity. With a nod towards the ladylike 1950s, this pretty hair accessory will dress your vintage hairstyle with a pin-up girl worthy look. Play up the retro influences and team with a flirty dress in a cute floral print or achieve evening elegance and coordinate with a luscious lilac or silver silk gown. The perfect lilac hair comb for bridesmaids, our coordinating range in this lighter hue of the purple spectrum will exquisitely enhance a lilac wedding theme. Whether your bridal party is wearing bridesmaid dresses in light mauve or deep plum or simply carrying a bouquet of plush lavender blooms, Haze of Amethyst Hair Comb will bring your special day style together with polished perfection.